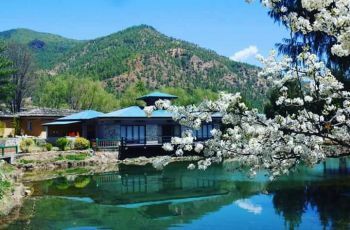 “Rediscover the uniqueness of Bhutanese tradition” As you prepare to land at the Paro International Airport, the eye catching Tashi Namgay Resort opposite to Bhutan’s only international airport would greet you with the warmth and serenity that you hope to achieve on your visit. 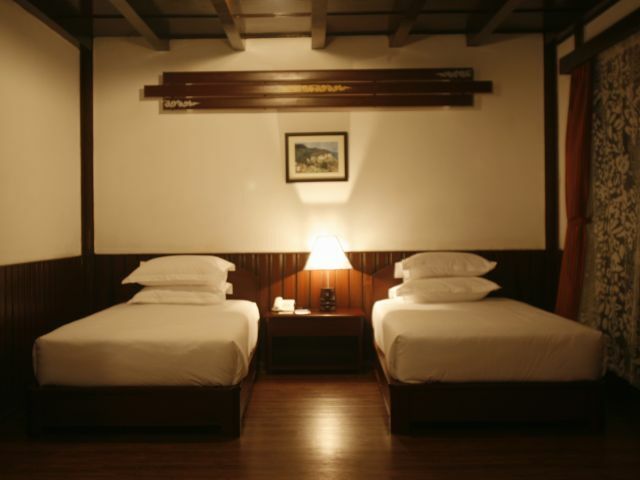 The resort is set amidst five acres of lush foliage and green lawns. 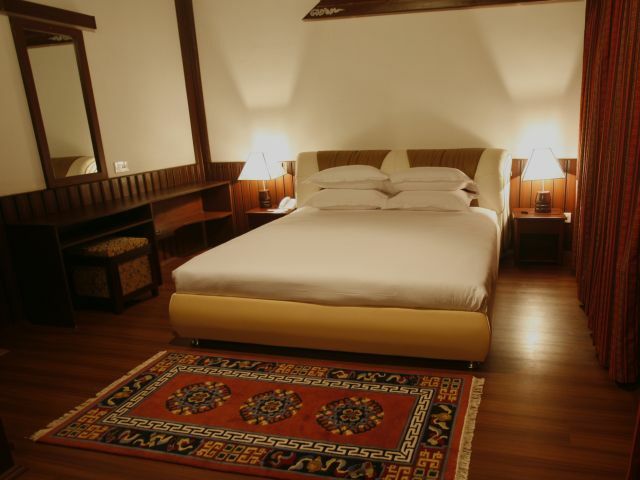 The 38-square metre standard room offers a great view of Paro Dzong. 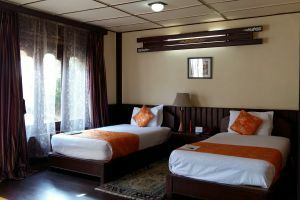 The room has all the modern facilities such as Floor heating in toilet, mini bar, TV, high-speed wire less Internet connection, hot pot, etc. 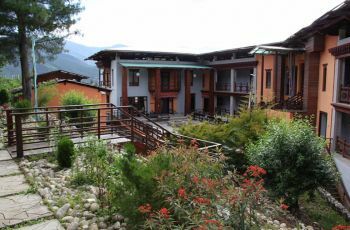 The Executive Suites offer full views of the Paro Dzong and Ta Dzong (the National Museum). 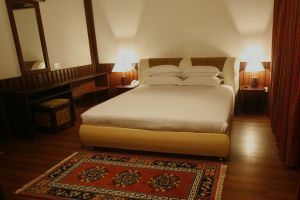 The suite is decorated in a warm and luxurious Bhutanese style with floor heating system. It showcases one large and spacious living room with separate guest toilet, a home theater, dinning area, a master bedroom with a well-appointed en-suite bathroom with separate steam bath cabinet and shower. 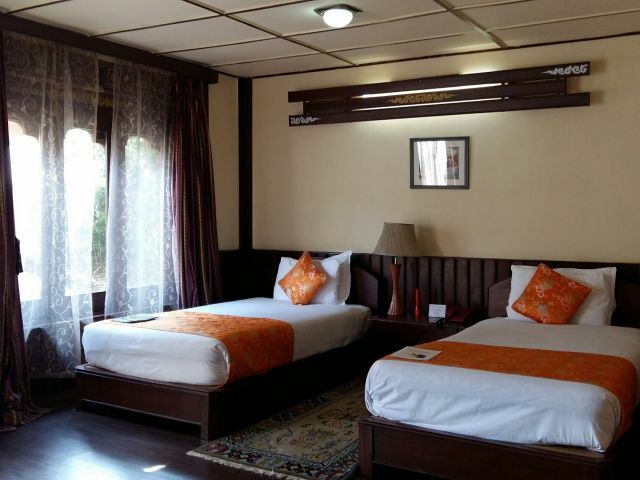 These spacious suites with floor heating system are ideal for couples or families traveling with small children. 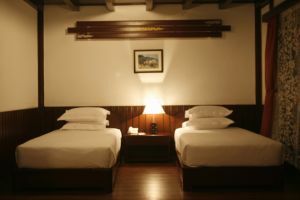 The Suites consist of one living room with a serving/ kitchen area, a master bedroom and a luxurious bathroom with a separate bath and cubicle shower. 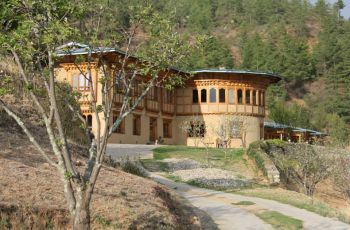 Located conveniently in the heart of Paro valley but away from the distractions of the main town, Tashi Namgay Resort offers you a calm and peaceful environment within a five-acre compound. 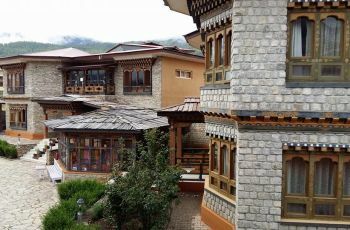 Unique blends of traditional Bhutanese and modern architecture have been provided for, yet at the same time offering you all the amenities of a modern lifestyle. The concern for the environment has been foremost in the design as it is evident from the layout of the buildings, the use of solar lights, wooden ‘shingle’ roofing and mud-brick walls. Conference hall that can accommodate up to 200 PAX. Child Policy- 6 years and below - no extra charges when accompanied by parents. Extra mattress requirement are subject to additional charge of INR 1200 inclusive of taxes and service charge per mattress per night.